Except, perhaps, if it’s used to develop critical thinking skills. [A student who’d studied at] Mt Hobson Middle School said Darwinism was taught as an unproven theory and students were shown a video purporting to show science had found proof of God’s existence. On the ‘taught as an unproven theory’ bit – suffice it to say, for now, that I’d have concerns about how well the nature of science was being taught and understood in that particular classroom. But on the video … NewstalkZB asked me to comment on that, this morning, and so I sat down last night & watched it. (I’ve shared it at the bottom of this post, if you’d care to watch it too.) It’s a slick little documentary, all right, but it’s essentially propaganda, & I agree with Prof Easther of Auckland University: it has no place being used in a science classroom. The video talks about ‘many scientists’ supporting the idea of creation, on the basis that our current understanding is that the Universe had a beginning. It does this a lot (and apparently, their reasons for doing so will shock meA). Somehow, despite this supposedly significant support, it manages to identify very few individual scientistsB. This unsupported claim reminded me of Project Steve, initiated by the NCSE in response to similar claims that lots of scientists doubt evolution. (Hint: most don’t.) At least two of those cited as being examples of scientists who’ve seen the light turn out to be creationists (Milne & Whittaker), who made their comments back in the 50s. Then there’s the claim that the Universe must have been designed for human life – a claim that’s later walked back to describe just our own planet. This is partly about the Goldilocks zone (as in, Baby Bear’s porridge was neither too hot, nor too cold, but just right) – but it’s worth noting that Mars & Venus are also within the Goldilocks zone of our star, yet neither hosts life. Thus, the fact that planets lie in this zone is not an automatic guarantee of habitability. The anthropic principle simply says that we, observers, exist. And that we exist in this Universe, and therefore the Universe exists in a way that it allows observers to come into existence. … The evidence for our existence means the Universe allows our existence, but it doesn’t mean the Universe must have unfolded exactly this way. It doesn’t mean our existence is mandatory. And it doesn’t mean the Universe must have given rise to us exactly as we are. In other words, you cannot say “the Universe must be the way it is because we’re here.” That’s not anthropics at all; that’s a logical fallacy. Finally, we get to the claim that there is “brilliance” [of design] in the nature of DNA. Again, there’s some very misleading quoting going on, this time of Francis Crick (codiscoverer of the structure of DNA. Yes, he did say that “the origin of life appears at the moment to almost be a miracle, so many are the condistions which would have had to have been satisfied to get it going.” And here’s what the video doesn’t tell its viewers: Crick was speaking in the 1970s, before we’d reached our current understanding of the molecular machinery that is involved in DNA replication. He subsequently admitted to having been overly pessimistic in his assumptions about the chances of abiogenesis on Earth. That sort of misquotation is, in my opinion, dishonest. 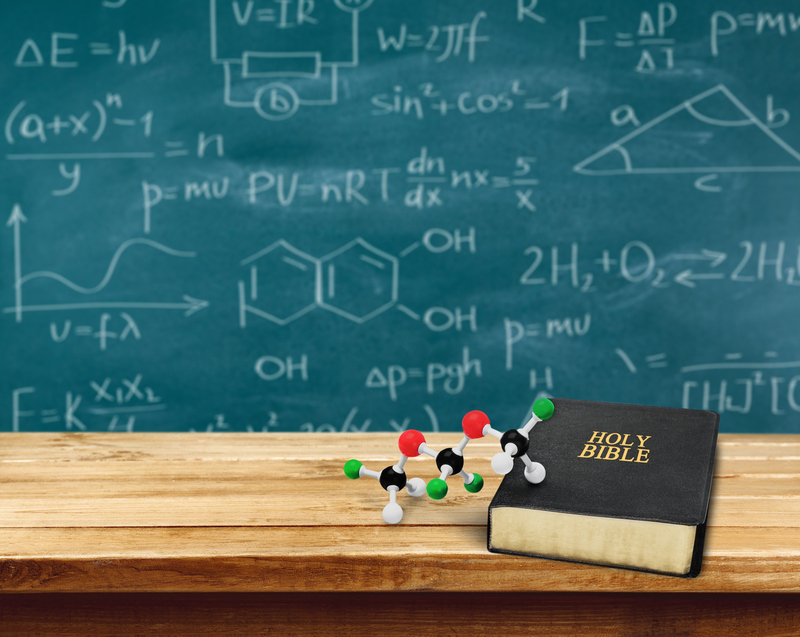 If the only way to make a case for creationism is to shore it up with misrepresentations and half-truths, then it is hardly a case worth making. Particularly when the final section of the video, from around 20 minutes on, doesn’t even pretend to be anything other than an attempt at evangelism. And to share it in science classes is to do the students in those classes a grave dis-service. With science and technology so important to our lives, we need people who are not only scientifically literate but skilled in thinking critically about the world. Presenting slick little pseudoscience videos in class, and misrepresenting the nature of science, is not the way to achieve that. A The lack of actual evidence means that my quota of shockedness = 0. B One of those cited, Antony Flew, was not a scientist at all.